MAJOR League Baseball is angling for its own slice of the USA’s growing gambling pie. In a heavy-hitters meeting in Las Vegas this week, representatives from both the MLB and the casino and bookmaker industries discussed the logistics behind an ‘integrity fee’ from the profits made from sports betting. 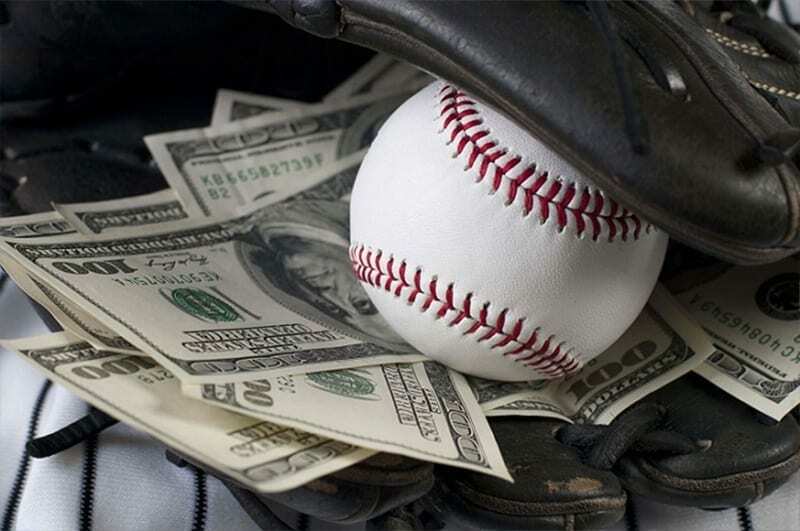 Numerous reports have placed the MLB’s request at 0.25% of all betting profits on the game, which, of course, the casino industry has rebuked. MLB will argue that the importance of protecting the integrity of the sport is paramount not only for its own survival, but for punter’s trust in the betting markets now available. Learn how to gamble on the MLB here. Match-fixing, fraudulent dealings and corruption have plagued sport around the globe in recent times and must be a huge priority for every major sporting code in the USA — codes which all roundly lobbied for a change in the gambling legislation. The MLB, which is still recovering from a steroids saga that ripped the sport’s innocence away over the last decades, will seemingly have the most risk, given the effect individual’s can have on the game, the incredible amount of matches played per season (which can often become inconsequential) and the poor culture of cheating that still remains at certain levels of the game. Kenny Gersh, the Executive Vice President of MLB spoke about the issue at the Global Gaming Expo last week. “From a fairness perspective we think, if you are going to designate someone to be able to make money off of what at the end of the day is our sport and our events, because if the Yankees weren’t playing the Red Sox last night, you are not betting on the Yankees and the Red Sox … we think we should be involved in that,” Gersh said. Gersh, like everyone in MLB’s top brass, believes that if casinos and bookmakers are going to make money from MLB betting, the MLB should share in the profits. The US Supreme Court overturned the Professional and Amateur Sports Protection Act in May. Find out which states have written new legislation and adopted legalised sports betting in our comprehensive US online gambling guide.